Immanuel Wallerstein’s highly influential, multi-volume opus, The Modern World-System, is one of this century’s greatest works of social science. An innovative, panoramic reinterpretation of global history, it traces the emergence and development of the modern world from the sixteenth to the twentieth century. Immanuel Wallerstein is Senior Research Scholar at Yale University and the former President of the International Sociological Association. He is the author of many books, including, most recently, World-Systems Analysis: An Introduction and European Universalism: The Rhetoric of Power. "A work in the grand historical tradition...bold in its thrust....many readers will find this a contentious and unsettling work. But it is contentious and unsettling in ways healthful for the normal practice of economic history." "Wallerstein's work is one of those rare examples of an intellectual project that transforms the scholarly map. That anthropology, sociology, history, and political science in their present forms cannot be discussed without reference to the project remains Wallerstein's greatest achievement." "From the first page we are engaged by a formidable intellect and relentless researcher. He is someone to take very seriously on details as well as on the generality. 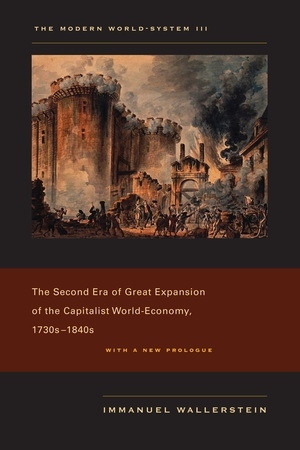 He has a strong sense of international interconnectedness (which he virtually invented in our era)....Compared to the provincialism of so many historians, Wallerstein's breadth of vision is compellingly appropriate."